Continuing our Shakespearean theme, this is an interview with Dr. Margaret Hannay, Professor of English at Siena College and an expert on Early Modern women writers. What are “early modern” women? What type of writing did they do? The Early Modern period was between 1500-1700, and many of the most important women writers overlapped with Shakespeare. In the sixteenth century, women in France and Italy wrote love poetry, but English women only wrote religious poetry and Psalms. In the seventeenth century, English women continued writing religious works, but also wrote about love and about politics. Prose romance became popular, much as films are now. How many women writers did you study in school? We had very few women mentioned at all. I just remember Jane Austen and Emily Dickinson from my undergraduate classes. When did you first become interested in early modern women writers? No early modern women were included in any of my classes from elementary school through graduate school. In 1980 my family went on a trip to the English estate, Penshurst Place, home of the famous Sir Philip Sidney. The guide said that his sister was a writer too, which was such an exciting idea that I spent the next ten years writing a biography of her, and then I edited her literary works with my colleagues Noel Kinnamon and Michael Brennan. How has awareness of women writers changed in the past few decades? Women writers now appear in every popular literary anthology, and they are included in almost every English course. There are now more than 500 members on the website run by the Society for the Study of Early Modern Women, which was founded in 1992. Scholars in literature, history, politics, medical science, etc. are publishing their research on queens and other women in important positions, as well as on ordinary life. We often go to conferences together, and sometimes see each other at specialized libraries, like the Folger Shakespeare Library in DC or the British Library in London. In your opinion, who are the most important early modern women writers for students to know about? What resources would you recommend for teachers who want to include more Early Modern women writers in their classes? Susanne Woods and I edited for the Modern Language Association an essay collection with ideas for classes, Teaching Tudor and Stuart Women Writers (2000). In a recent post, I reviewed a production by Lean & Hungry Theater of The Taming of the Shrew as a telenovela. Are there any soap opera-like stories you can tell us about the women you’ve studied? 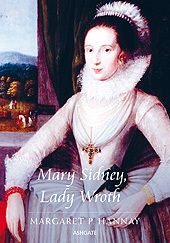 Yes, Lady Mary Wroth, who is celebrated now as a poet and a writer of prose romance, includes feelings of passionate love, arranged marriages, family events, politics, and war. Wroth’s Urania is often thought to include some parts of her life, though she tends to exaggerate things and introduce magic. In her own life, she danced at court for Queen Elizabeth and later for Queen Anne. She had a marriage arranged when she was 17, but she was in love with her cousin William Herbert, earl of Pembroke, who was married to someone else. After her husband and her only child died, she went back to her cousin and had twins with him. Then her son became a soldier (and later maybe a pirate) and her daughter was married twice during the English civil war. It would make a great film. What does Mindful Teaching mean to you? Do you have a mindfulness practice, and if so, how has it helped you in your work? My Mindful Teaching is that I care so much about my students and the exciting material they will be learning. Their assignment given on the first day is to write one page about their life and include a photo so that I can learn their names and interests quickly. In courses on the early modern period I focus on the language, costumes, customs, and politics, and well as the literary content and genres. Then, for the final project, they choose a theme that fascinates them: they may either write a term paper or make something creative. Some students cook an early modern meal for the class, and others have sewn dresses of the period, or made some armor or a lance for the tilt, or made a magazine on the era of Queen Elizabeth, or built a model of one of the most important buildings of the era. Basically, I design assignments to help the students engage on a personal level with what they’re studying. (Full disclosure: Yes, we’re related. Dr. Margaret Hannay is my mom. You can also read an interview with my dad, Dr. David Hannay, about Getting Kids Interested in Engineering and Computer Science). Nowadays not everyone especially teenagers know much about Shakespeare.There are resources where you can find news, reviews, writings of Shakespeare. Thanks for sharing that link, Leah. It looks like there are some useful resources for teaching Shakespeare.